3135 is a basic zip-front skin suit pattern with collar and hood options. It's gusseted crotch is very comfortable. With long sleeves and legs, it can be used as a base for many costumes (Avatar, Catwoman, Blue Man Group, base for any superhero in tights...). If you need to make a feline costume, check out Spandex World's animal print velvets - #4880, 1955 and 8319 - we ordered a few yards for prototypes and they all have a great 4-way stretch and recovery! 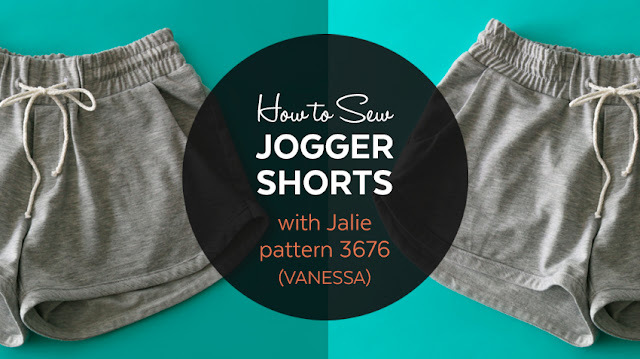 Even though it is listed as a women's pattern, it can easily be lengthen to fit a boy's longer torso and legs. Make it with short sleeves and legs, you get yourself a short wetsuit. Perfect for protecting kids from the sun and an interesting alternative for parents looking for a modest swimsuit option. 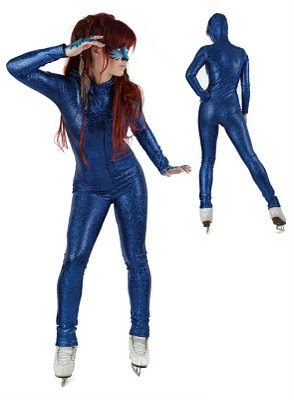 This would have been perfect for my avatar costume last year!!!! !